So delicious when freshly made. 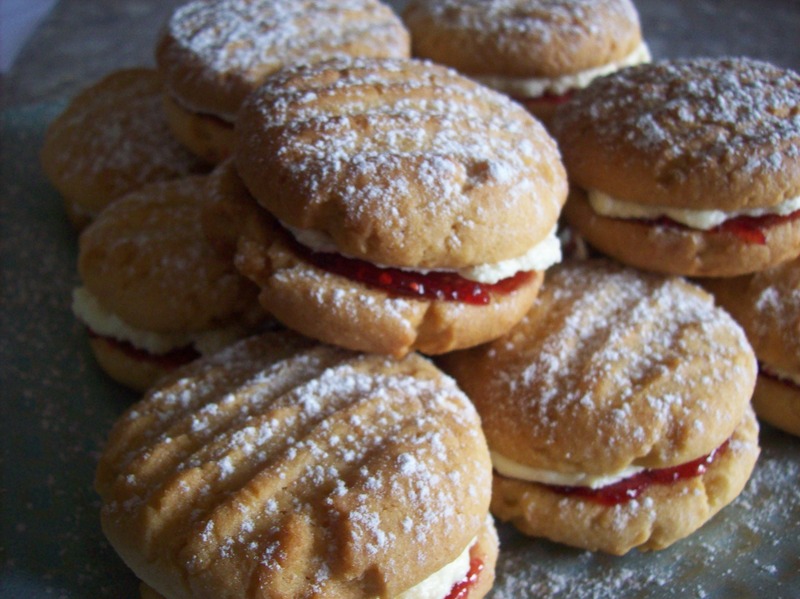 More delicious a day later when the biscuits soften and they are like a soft sandwich cake… So good! Make them this weekend, and then see if you can save some for the next day. I bet you cant! Cream butter and brown sugar until light and fluffy, then add eggs and vanilla. Stir in sifted flours and the coconut with the butter mixture until thoroughly combined. Roll tablespoons of mixture into balls and place on lightly greased oven trays. Flatten with a fork. For the filling, cream the butter and icing sugar until light and fluffy. Add vanilla, then the milk or cream. Beat well. Spread half of the biscuits with jam, and the other half with the vanilla cream. Sandwich together lightly.